You've always wanted to take that backpacking trip around Europe, but which destinations should you pick? 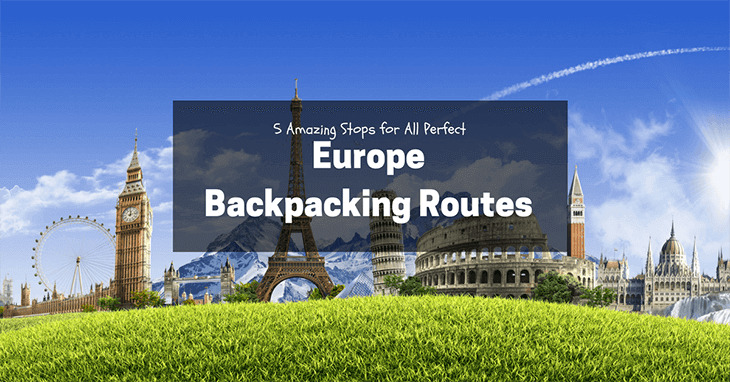 With so many awesome Europe backpacking routes , it is hard to narrow down where to go. Europe offers a good infrastructure for travelers and a diverse cultural landscape to explore. Whether you are looking for nature, world-famous metropolises, or something in between, you can find an abundance of it all! I love backpacking through Europe and can't wait to go on my next adventure in the Old World. If you’re having trouble deciding where your backpacking route should lead you, here the five destinations that you can't afford to miss to make your trip fantastic! Make sure you land in London at Heathrow or Gatwick airports; they are well-connected by public transportation, and your other options, Luton and Stansted, are a few hours outside the city. Great Britain can be an expensive country, so plan on spending 40 to 80 pounds per day. Read our article 4 days in London, you will have no trouble in your travels. 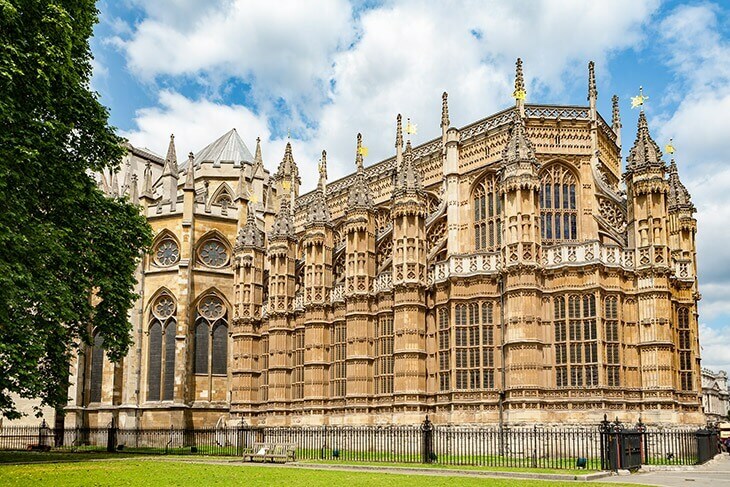 Some of your must-sees in this awesome city are the famous Buckingham Palace, the Tower of London, and Westminster Abbey along with St. Paul’s Cathedral. Buckingham Palace, home to the royal family, is an impressive sight from both the outside and the inside. For those who can afford to spend the money, a tour is highly recommended - but beware of high prices and closures in the off-season. 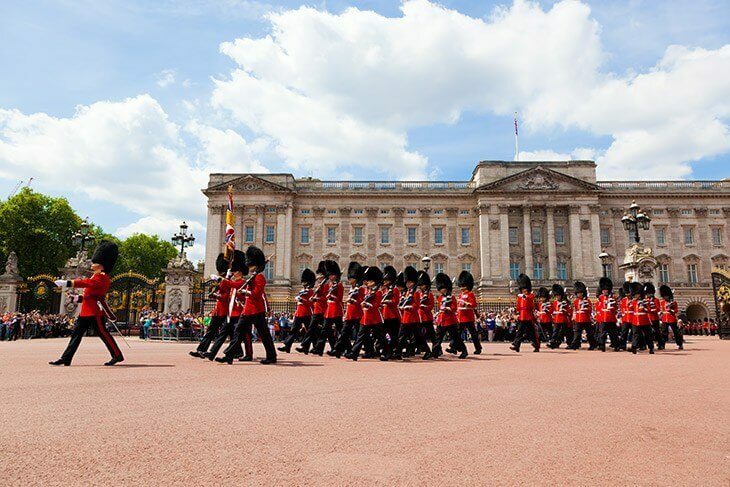 Don't miss the changing of the guards, whose shift changes at 11:30 am every day from May to July. 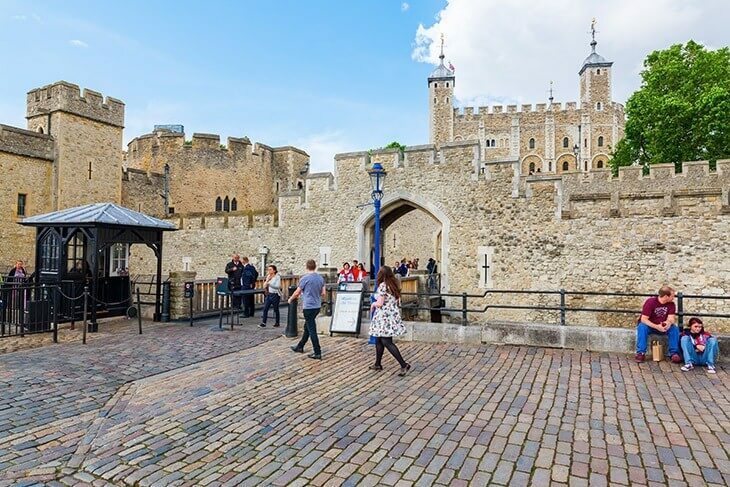 The Tower of London - admission 25£ - is home to the Crown Jewels, and has an expansive history as a prison, execution site, arsenal, and more. Westminster Abbey and St. Paul’s Cathedral is the site of many English coronations, and it is also the site of funerals for members of the royal family and selected others such as Winston Churchill. Considered one of the most impressive buildings in London, the entrance fee is 18£ - unless one is entering the church for worship. Also, if you are into history or art, all national museums in London are free (except special exhibits). Great choices include the British Museum, the Natural History Museum, and the National Gallery. Your second stop is Paris, the City of Love! For between 100€ and 200€, you can ride the Eurostar from London to Paris, the train runs beneath the English Channel. Make sure you book as early as possible to get access to some major discounts. Paris can be pricey, so plan for spending between 30€ and 80€ per day. The iconic Eiffel Tower is most likely on anyone's itinerary. Visitors pay 11€ to get to the 2nd floor, and 17€ to get to the top. However, if you’re trying to make up for all that money you spent in London, a free alternative is to pack a picnic lunch and hang out on the grass in front of the monument. Other sights you can't miss include the Notre Dame Cathedral, one of the most famous churches in the world in the style of enchanting Gothic architecture. The best part - entrance is free! Another stunning sight is the Sacre Coeur Basilica, located in the Montmartre art district. The Basilica features beautiful romano-byzantine architecture and a 475-square meter mosaic, among the largest in the world. If you are willing to pay the 5€ to get to the top, the view over Paris is simply amazing! 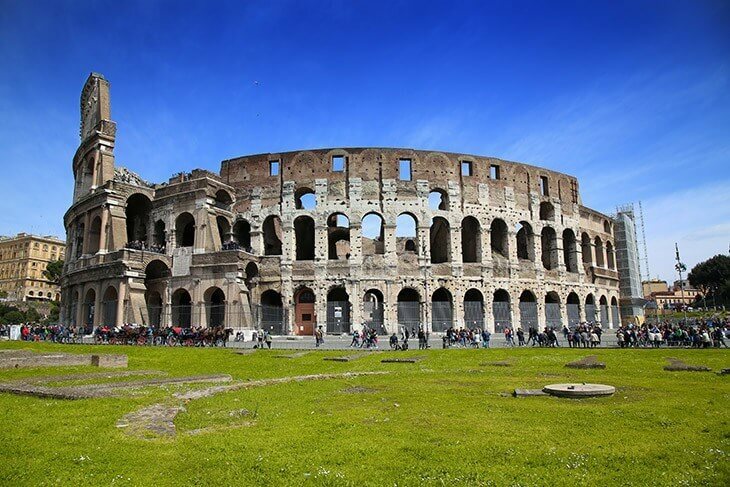 If you are fascinated by ancient history, Rome is THE place you cannot miss. Just walking along its windy streets will spark your interest in the city’s captivating past. Rome is accessible via a 12-hour train ride. For those who would rather spend less time riding the train and more time exploring, it is also possible to fly with EasyJet or RyanAir. Rome wasn't built in a day, and it can't be seen at one day either, if you are planning your first trip to Rome, just take a look at How many days to spend in Rome? Although there's much competition, the most impressive sight in Rome might be the Colosseum. Almost 2000 years old, the amphitheater was the largest of its kind in the entire Roman Empire. There can be lots of tourists, but it is still worth a visit, and admission fees are a doable 12€. The Vatican is another unique thing to visit in Rome. Wait - the Vatican isn’t in Rome! Actually, the Vatican is its own country, and it is one of the smallest in the world, located right in the middle of Rome! 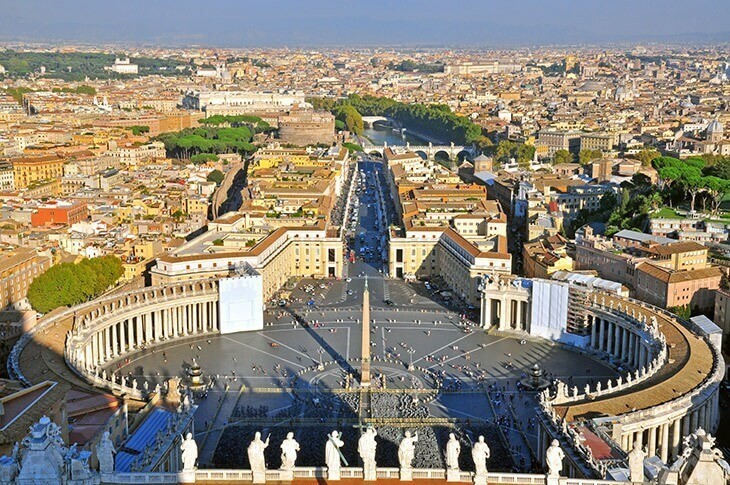 Home of the Pope and the epicenter of the Catholic Church, the Vatican is famous for the pristine Sistine Chapel, where you can bend your neck to gaze upon Michelangelo’s painted masterpiece. However, it does cost 15€ to enter, and visitors should make sure to wear long-sleeves and remove their hats to avoid being turned away. If you’re looking for something romantic to do, visit the famous Trevi Fountain. Throw in two coins over your left shoulder while you are there - one is for love, the other is to ensure your return to this amazing city. Cinque Terre’s five villages (Monterosso, Riomaggiore, Vernazza, Corniglia, and Manarola) date back to before the Middle Ages and are recognized as a UNESCO World Heritage Site. Today, they make a picturesque boutique of buildings that are perfectly home on any postcard. 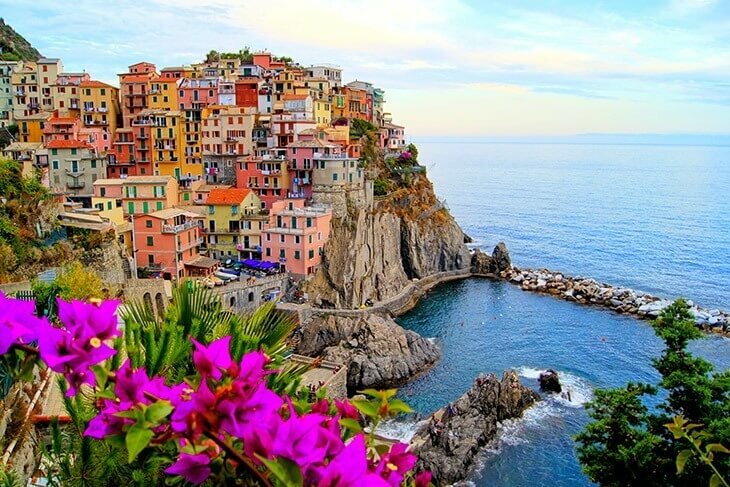 You can stroll through any of the villages and take in the dramatic cliffs, or go on a peaceful hike in the Cinque Terre National Park, which surrounds all of the towns. Nightlife can be found in Monterosso al Mare, as can good beaches. If you want to feel the adrenaline, you can also jump off the cliffs into the ocean in Maranola. Beware, it’s cold! And don't forget to bring your best cameras to capture this beautiful landscape. If there is only one more stop on your itinerary, Berlin should be it! The city is an ideal place for backpackers to stop for a few days. 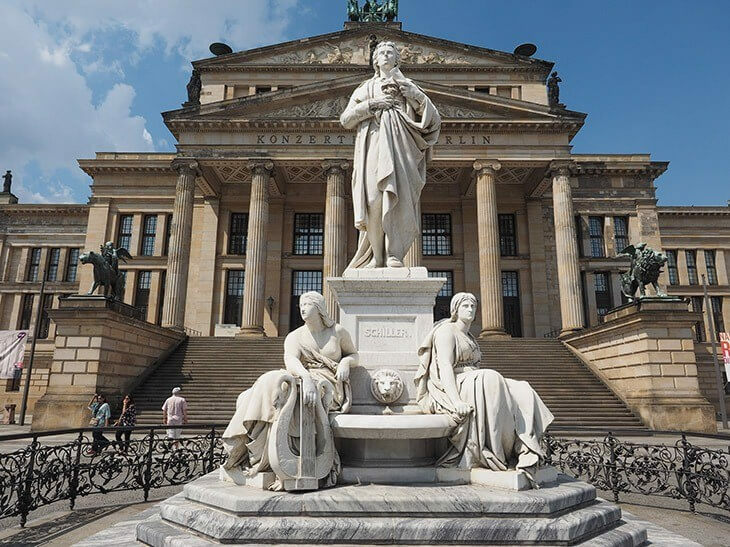 Germany is one of the most fascinating countries in Europe and features many accessible sights that can bring you closer to its turbulent past. But there is also a modern flair and alternative vibe to the city that never fails to impress. Take a look at our article where to stay﻿﻿﻿ ﻿﻿﻿in Berlin to have a best chosen while you traveling. Start your sightseeing in the Mitte district, home to many government buildings, as well as impressive sights. Visit the Brandenburg Gate, a famous landmark. Once on the border of Western and Eastern Germany and a symbol of division, it is now considered an icon of the German reunification. Around the corner is the Memorial to the Murdered Jews of Europe. Made of black granite pillars, it's an amazing outdoor maze you can walk around in and take pictures. There is also an underground museum detailing the ordeal of the Jews during the Nazi regime. The visit might leave you with a heavy heart, but it's worth it to gain a better understanding of the country's turbulent past. But don’t make it all about the past, the Berlin of today is just as much worth experiencing. The hip and alternative neighborhoods of Kreuzberg and Neukolln are a prime destination if you are into vegan cuisine, organic clothing, and alternative living. Ready for some open space? Around the corner is Tempelhofer Feld, a decommissioned airport now open to the public. Take a walk on the runway! With so much to choose from and such iconic places to visit, there is never enough time to explore Europe. It is one of the most interesting continents in the world, and a convenient, safe, and cheap place for an amazing backpacking trip! Was this list helpful? Or feel like there’s something missing? Let us know in the comments, we would love to hear from you! And if you believe this article could help others, please give it a share!